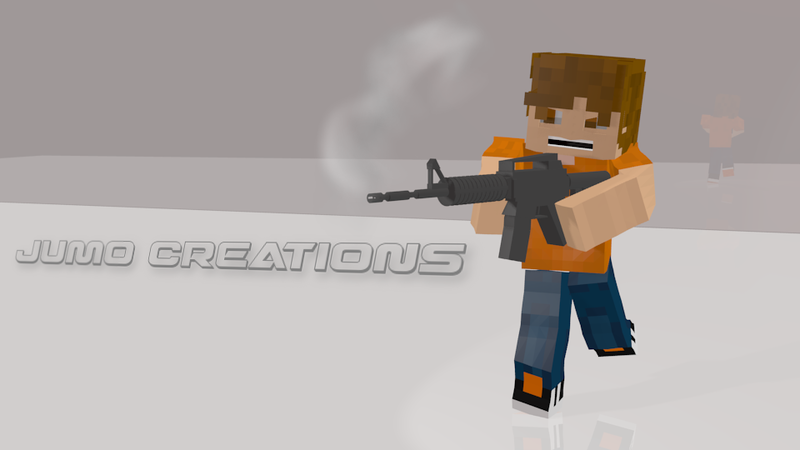 Blender work and 3d modeling. For the next update, I will add more shape key options, like: eye position, more mouth positions, body shapes (gender, fat, skinny, etc), and more if I think of any. I will also make the facial rig easier to use, as in the bone shapes and such. I just finished the new rig update, and although it is not yet available, I have successfully refined the UV wrapping to perfection, and go the rig to support 1.8 skins. Here is proof! So, I look forward to making this available! See you then! In case you haven’t seen the last post either, here is another sweet improvement to the rig: improved arm and leg bending! Features: Hat layer, 2×2 eyes along with 2×1 eyes and eyebrows! It’s not complete quite yet and has a few glitches but the rig is good for most poses and maybe even some animation. I’m still working on it mind you, so just comment if you are having problems with the rig. For information on how to use the rig, read the manual in the file. Id’e also like to see what you’ve done with the rig, which you can share in the comments also. So, future site update, yeah, I’m pretty much gonna redo most of the site, graphics, style, layout, keeping the content mind you. But I’m also working on the official Jumping Monkey character… in 3d! So far Iv’e got the basic head and ears. Other than this I really haven’t posted the character on this site much anyway, but there are a few exceptions (https://jumpingmonkeyart.wordpress.com/2014/05/08/atists-club/) (https://jumpingmonkeyart.wordpress.com/2014/05/06/bananas-sketch/) And yes, I do realize that more than few projects have been put on hold in the process, but… aurgh! The ideas won’t stop coming! Anywho, here is the sneak peak. 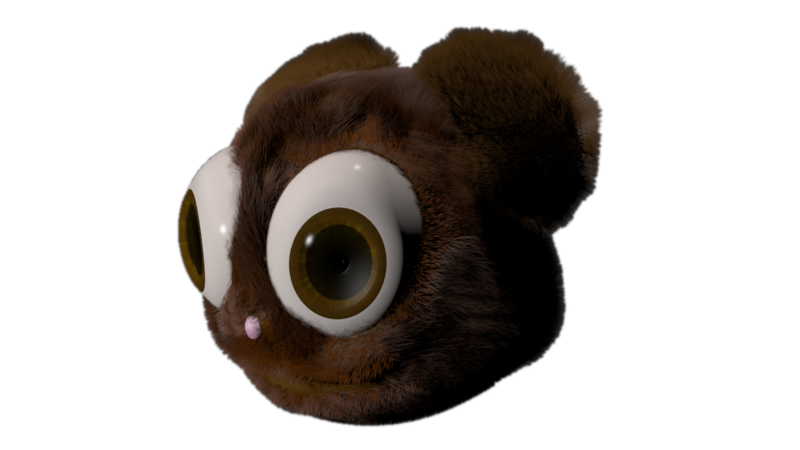 It was my first time ever using the hair particle system, and I had a heck of a time getting the fur right, But it ended up turning out alright. But, he’d better be good because he is going to be on the header. So I hope that works out. And there are a bunch of other exiting things happening as well. Recently I was asked to create a simple checker board for Skip Wilson (https://skipcasts.com/) and he ended up using it a couple places (https://skipcasts.com/blog/post/1/) and the other is a scene kit tutorial that is for pros. Skip Wilson has really great tutorials that are helpful if you want to program swift, so I encourage all who want to to sign up. A couple last thing before I finish up: I already have an operational Vimeo account, and I’m planning to do gaming videos on it and possible animations at one point. The comics site will be merged with main one during the update. And I think that’s it, see ya. 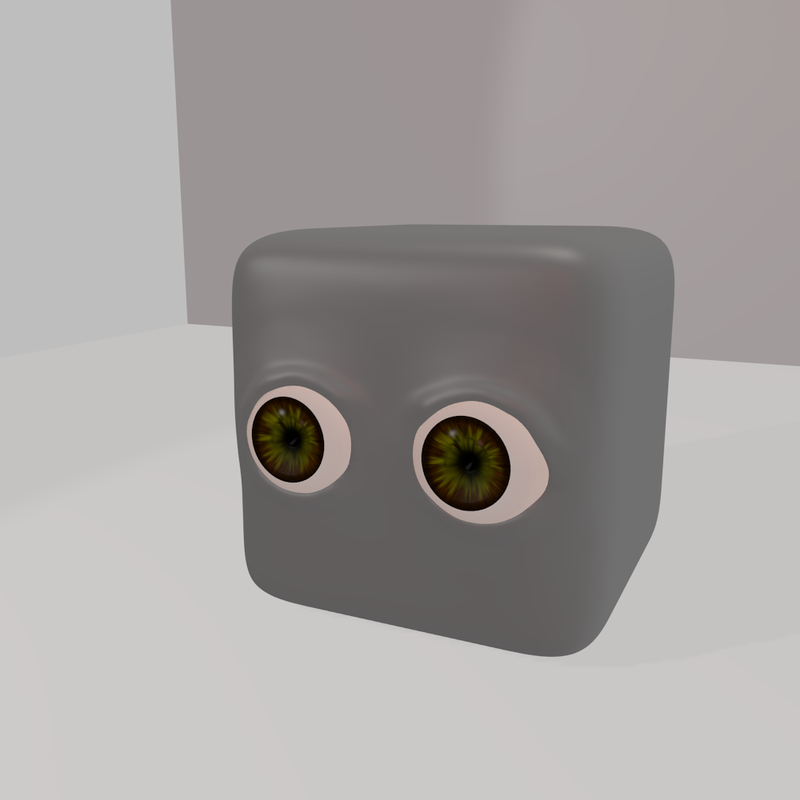 Iv’e begun a new project, maybe called “Cubert”, but i’m not totally sure yet. Just kinda popped into my head for the sneak peak. Anywho, here’s a pic from the upcoming animation. I thought it would be cool to have a blank background for now but in the future i’m going to try a… well… futuristic arena, maybe with aliens or something.